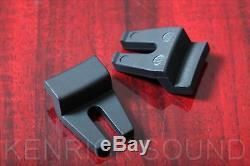 JBL Kenrick Sound 8 pairs Woofer Clamp Mounting Bracket Kit from JAPAN F/S. It is Kenrick Sound original clamp of the same type as MA 15 (MA - 15) used in JBL. 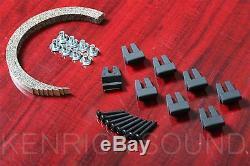 Set content · Mounting bracket × 8 · Bolts × 8 · T nut × 8 · Cork gasket × 8. Please let me know if you have any questions. Also, please tell me if you have what you're looking for in Japan items. International Buyers - Please Note. These charges are the buyers responsibility. The item "JBL Kenrick Sound 8 pairs Woofer Clamp Mounting Bracket Kit from JAPAN F/S" is in sale since Friday, August 4, 2017. This item is in the category "Consumer Electronics\Vintage Electronics\Other Vintage Electronics". The seller is "japanderful" and is located in Tokyo.